Zagreb’s close proximity to the Medvednica Nature Park allows you to enjoy spectacular scenery in a majestic setting, as an alternative to the historic and cultural attractions of Croatia’s largest and capital city. Medvednica Mountain marks the southern border of the historic region of Zagorje, and has provided the locals with food, water and firewood for centuries. One of the best ways to see this little-known area of Croatia, is to combine it with one or more destinations on a Croatia multi-centre holiday. 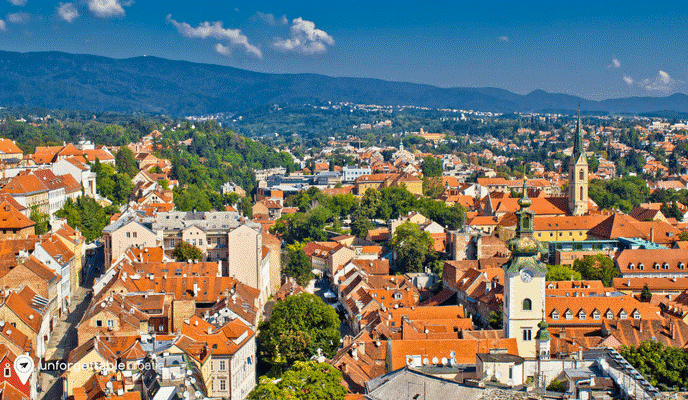 Nearby Zagreb is a bustling, cultural hub (read our 15 fabulous things to do in Zagreb here). We’d recommend one or two nights in Zagreb, in addition to stays in Split, Hvar and Dubrovnik further south. Call our travel experts today to find out more on 020 8004 2345. Hiking on Medvednica is one of the popular activities to enjoy when you’re exploring the natural wonders of this Eastern European country. The beautiful nature park boasts so many marked hiking trails that you could easily spend a week on the mountain and never run out of interesting things to explore, see and do. Day or overnight trips to conquer the summit of Medvednica Mountain are a great way to fully explore the unspoiled countryside that surrounds the city of Zagreb. There are easily accessible marked trails all over the countryside, and plenty of huts and shelters along the way. Medvednica is a special place to visit if you want to take advantage of the scenic routes. The nature park covers an expansive 17,938 hectares and measures 42 km in length. The lush and varied forests of Medvednica have made this stunning setting a protected nature park. Wherever you wander, gigantic trees soar high up around you and you are surrounded by vegetation. The nature park has 8 protected forest reservations, where you will discover many common species of trees and plant life. Look out for oak, chestnut, and beech trees, and also rare linden and yew trees. Take a moment to listen to the wind gently rustling the leaves. Gaze up and see the sun’s rays breaking through the tree tops and bathing the forest floor in a soft glow. Allow your senses to come alive in this spectacular beauty spot. Rekindle your bond with nature in the enchanted forests of Medvednica. The sixth largest cave in Croatia, Veternica has many secrets hidden deep inside its belly. The cave boasts atmospheric canals that were once home to prehistoric animals. Today, Veternica’s main inhabitants are tiny bats that are small enough to fit in the palm of your hand. As the nocturnal creatures love to slumber inside the cave during the winter, you can only visit the cave from April to the end of October. A licensed tour guide will show you the stunning rock formations that line the 380m of canals. The Stone Waterfall looks like water that is frozen in time. You can accept the challenge to squeeze through a natural passage between two rocks. You will also have an opportunity to learn how blind bats use their hearing to move, when all the lights inside the cave are turned off and the magic of the natural world becomes illuminated. 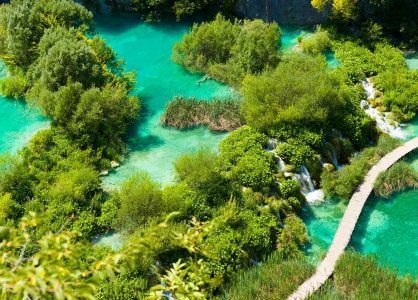 Explore this enchanting area of Croatia – it’s a real hidden gem. Combine a trip to Medvednica and Zagreb with a Croatia cruise holiday. Our luxury Croatia cruises are on small ship cruises with a maximum capacity of just 40 guests. They offer a luxurious, personalised service with gourmet food, and whole new way to explore Croatia’s stunning coastline. The Sljeme hilltop is situated at an altitude of 1035m, and requires a 2-hour hike to reach the summit. If you’re not fit enough to handle the trek, you can always drive or take a bus up and walk along the mountain ridge. Most of the hiking trails are relatively flat, but it’s worth noting that you could be walking for up to 20 hours if you want to explore everything. The most popular hiking trail connects the Grafičar and Puntijarka mountain huts.